International trade, is so called Foreign trade, namely the business between two countries or two enterprises in different countries. They have to purchase from oversea, or to sell from home to abroad. Along with progress of technology and development of global economy, the most of countries and enterprises participate into this international trade markets. Certainly, international trade business is also not easy to be done because so many unfavorable factors such as long distance deal, long distance shipment and having to arbitrate for related dispute for each parts such as seller and buyers (consignor and consignee). so please read and learn related trade terms for foreign trade seriously and diligently. Actually Incoterms rules ( International Rules for the Interpretation of Trade Terms), is also called International Commercial Terms, state and explain the trade terminology of 3 letters using in a series of goods sales and business contract practice. Actually till now Incoterms already have updated to edition Incoterms 2015. but at the first, let us know about Incoterms 2010. Incoterms 2010 rules mainly describe that cargo and goods from sellers (suppliers) to buyers as its process of transport, referring to distribution of duty, charge and risk. There are 11 of terms to be knew by all of businessman involving in foreign trade. At first let me have a look about shortcut of terms such as EXW, FCA, CPT, CIP, DAT, DAP, DDP, FAS, FOB, CFR and CIF. Every term is important to help each parties (buyers and seller) to deal with more safe way and avoid or lower loss of goods. 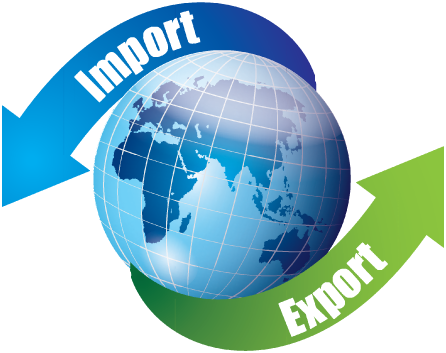 Hereby, I will introduce some basic and popular terms during export and import trade. EXW (Ex Works), we may simply understand this clause as the destination of placing goods is about works, factory, warehouse and so on according to seller’s premise, then the buyers have to prepare the vehicle to load the goods and deliver the goods to the port with preparation of export and clearance of customs. This terms is appropriate to work for domestic trade. Actually the most of exporters, exporting agencies are good at buying goods from factories by this clause. FOB (Free on Board), this rule is only for sea, inland waterway transport. The most of suppliers prefer to choose this rule to do the business with foreigner buyers because this is simple and low risk to load the container and deliver the goods to the named port by buyers. Actually there is no risk of loss or damage when the goods are on board of the vessel. Certainly, in this rule the sellers are required to clear the goods for export with related procedures. CFR (Cost and Freight), this is quite similar comparing with FOB because of same application in sea and inland waterway transport. However what difference between CFR and FOB rules? The Freight fee is key as seller bear the freight fee for goods shipment. CIF (Cost, Insurance and Freight), this rule is also similar to FOB and CRF, however the sellers have to pay insurance fee by using this rule for business. At the same time this rule is only applied in sea and inland waterway transport. Meanwhile, this rule has two important points to be paid attention. While the contract will always specify a destination port, but it might not specify the shipment port in contract. So two parties are well advised to identify this issue as precisely as possible in the contract.